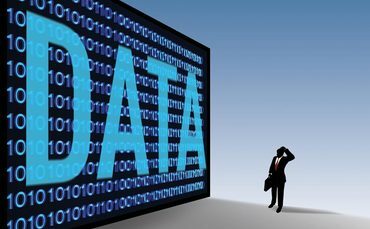 Why do only 4% of CEOs value people data? With only a fraction of CEOs recognising the value of predictive analytics, what can HR do to rectify this? Just 4% of CEOs recognise the value of predictive people analytics in their talent strategy, according to global research conducted by PwC. “A big part to this lies in the maturity of people analytics in HR functions – which is relatively low,” Martijn Schouten, director of PwC South East Asia Consulting (SEAC) told HRD. “Most HR functions use data to report on the basics (such as in-flow, turnover, L&D cost), and a lot of HR functions are able to pull together scorecards with metrics and KPI’s that bring data together (such as total L&D costs in comparison to total operating costs),” he said. This, according to Schouten, means that HR functions are not yet able yet to use people analytics for a strategic discussion with leaders about how talent strategies can support overall strategies - meaning CEOs may simply be unaware of the value analytics can bring. So how can senior HR professionals get their CEOs on-board with people analytics? “HR functions really need to up their game and start developing people analytics capabilities. And this is not just about being able to report on data, it’s the insights and sense-making that matters to leaders. This is what allows them to prepare for an uncertain future,” Schouten said. Ultimately, he said, it’s a matter of developing capabilities and demonstrating to the CEO what additional value those capabilities can bring.